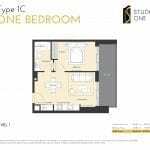 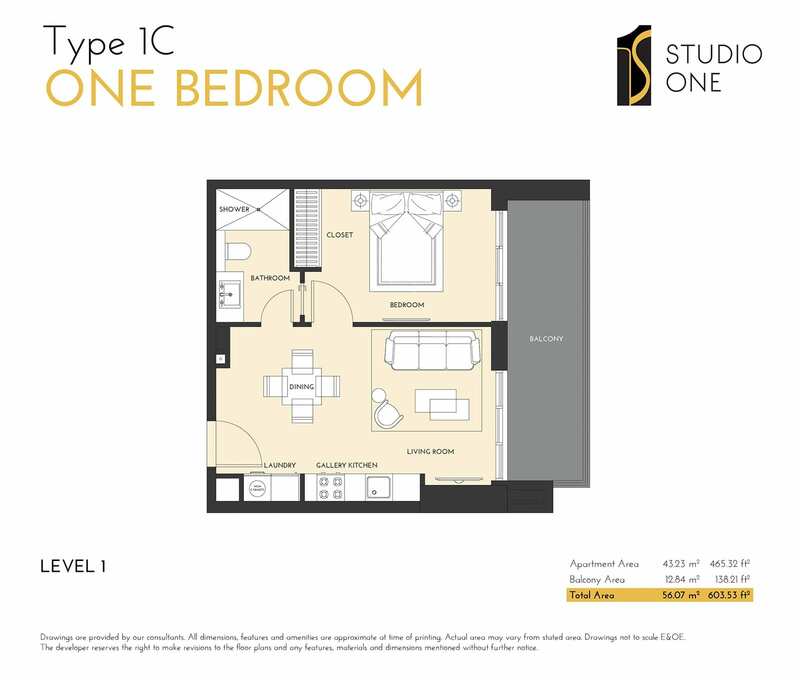 Studio One – Register Now! 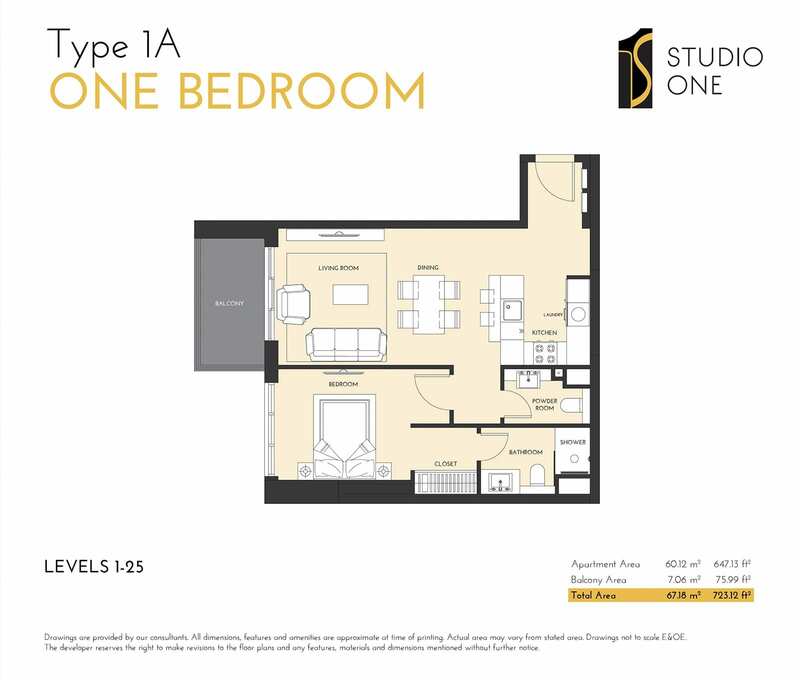 Studio One – a development designed to be a stellar addition to the stunningly impressive Dubai Marina skyline. 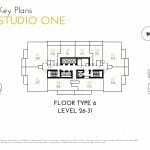 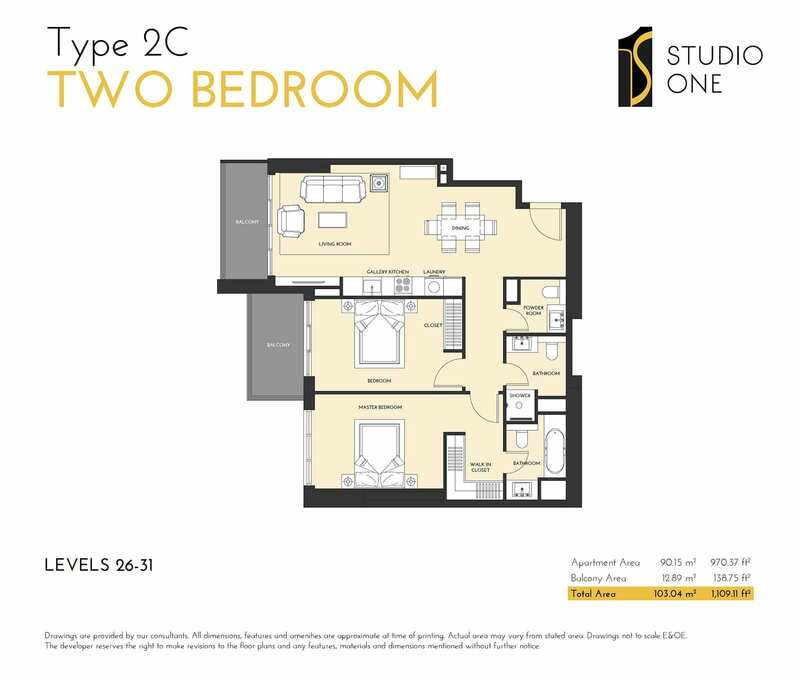 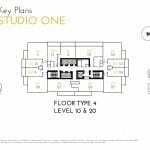 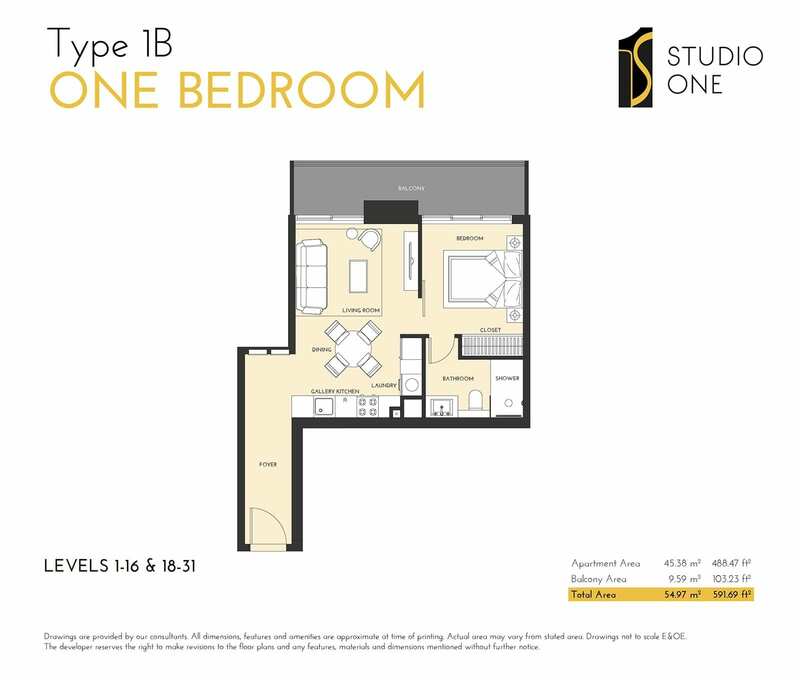 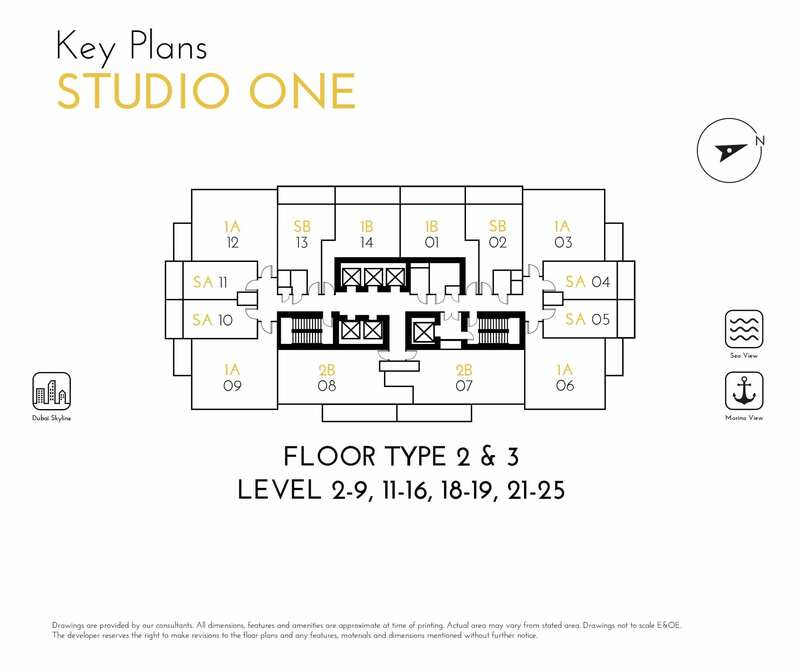 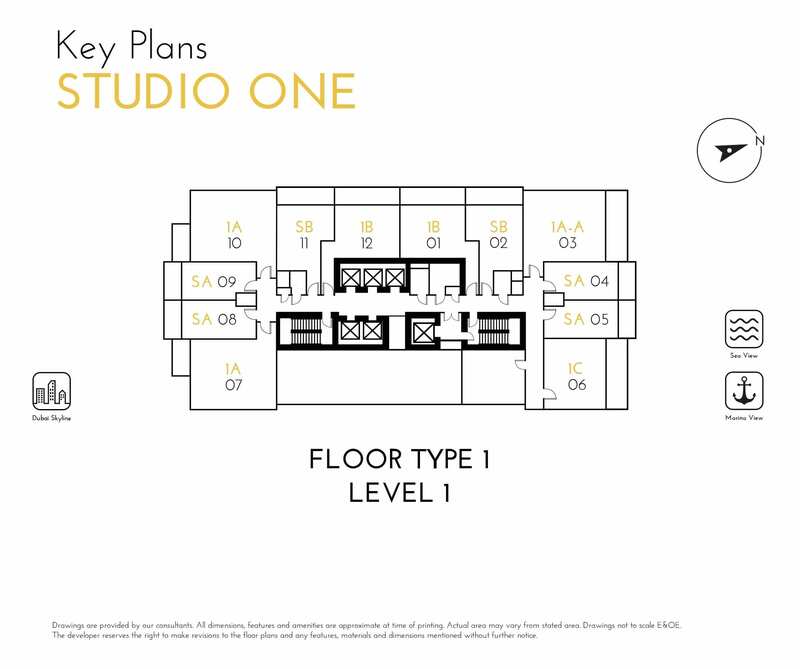 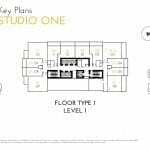 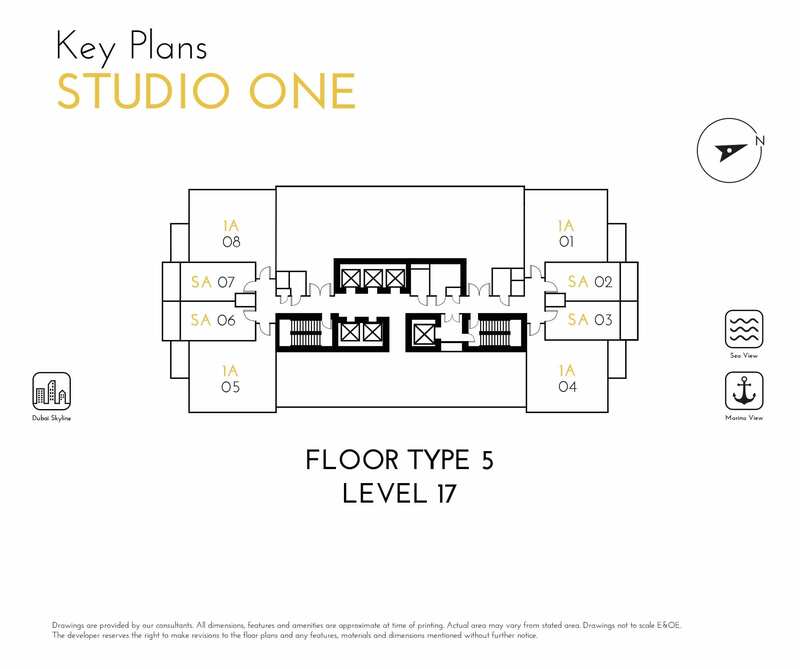 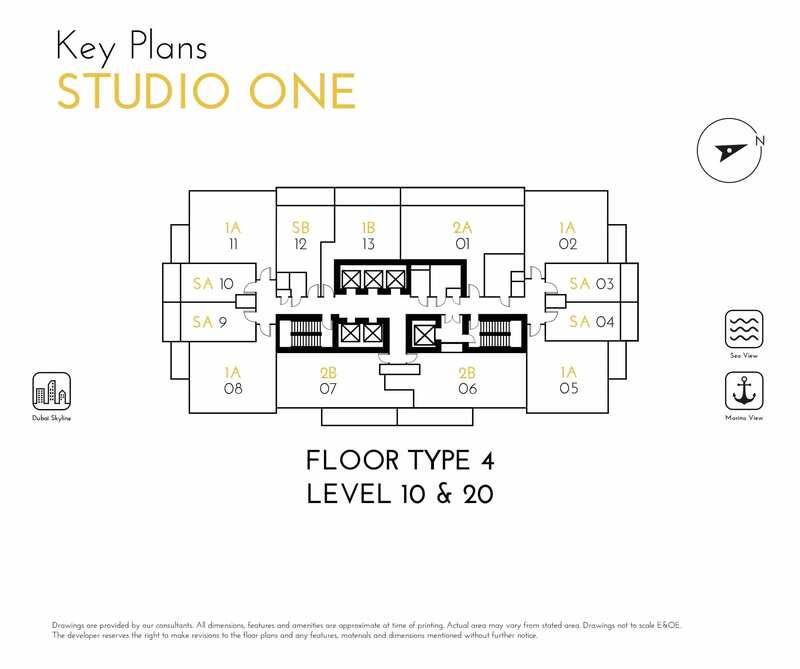 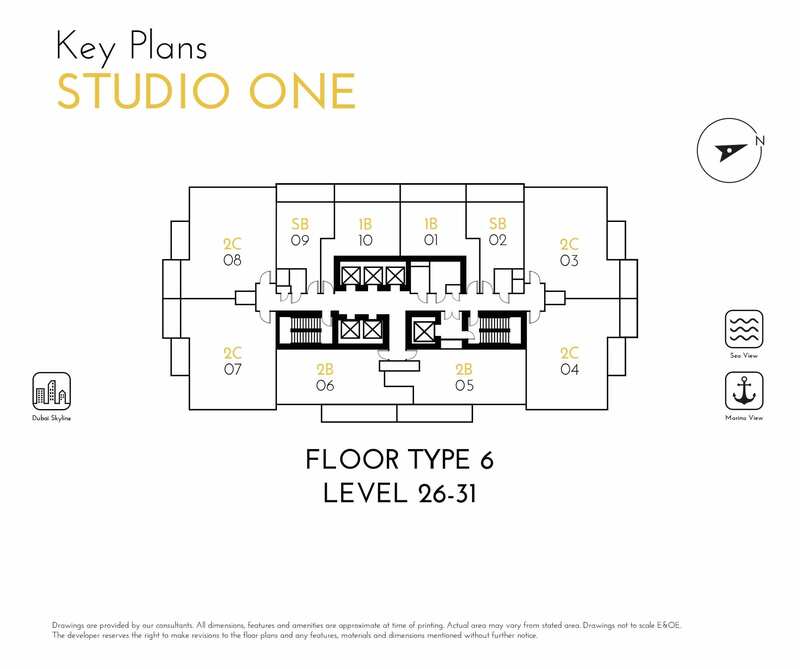 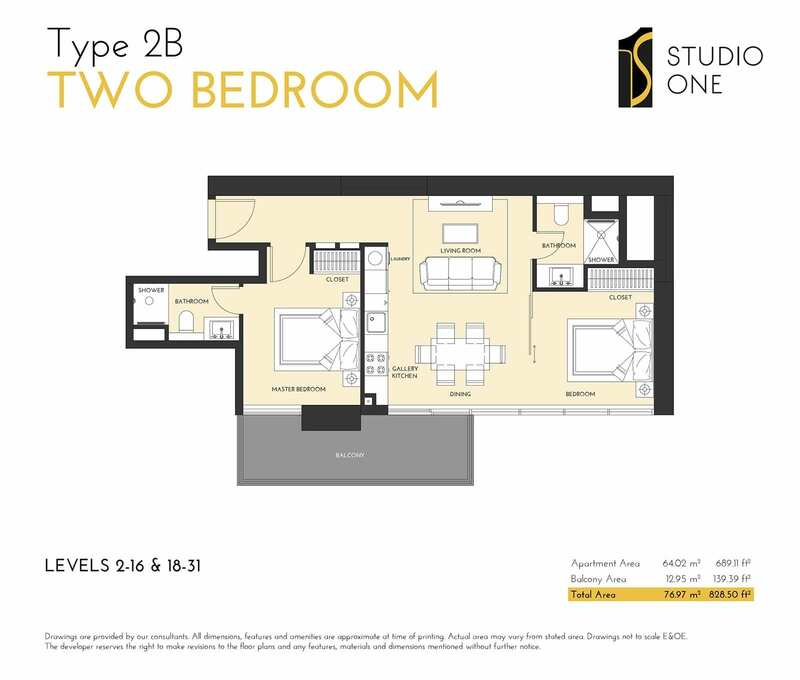 Located in the heart of the up-and-coming west end of Dubai Marina and within close proximity to the Bluewaters Island, Studio One is ideally-positioned to deliver sound rental yields coupled with the prospect of significant capital appreciation as the emirate of Dubai approaches Expo 2020. 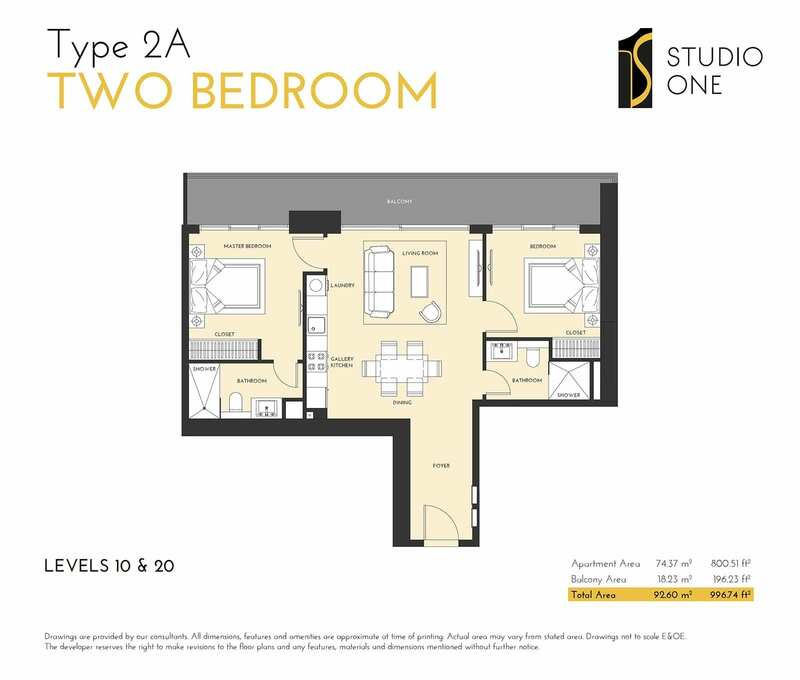 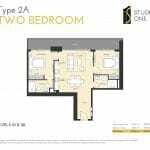 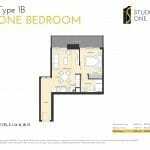 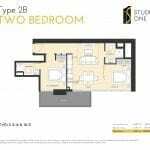 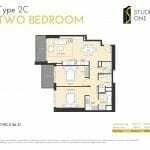 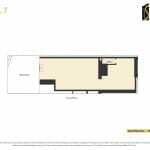 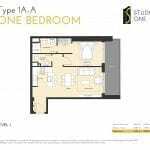 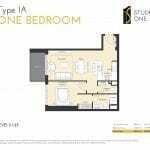 Includes efficiently designed studios, one bedroom apartments and limited two bedroom apartments. 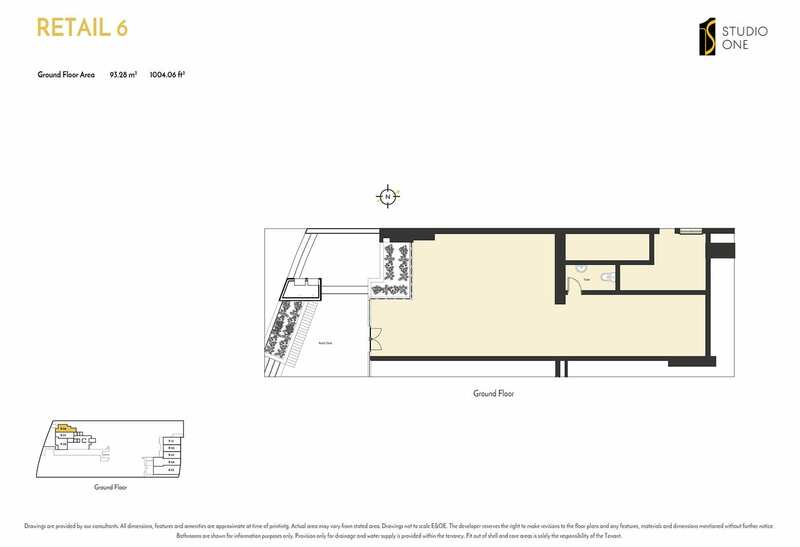 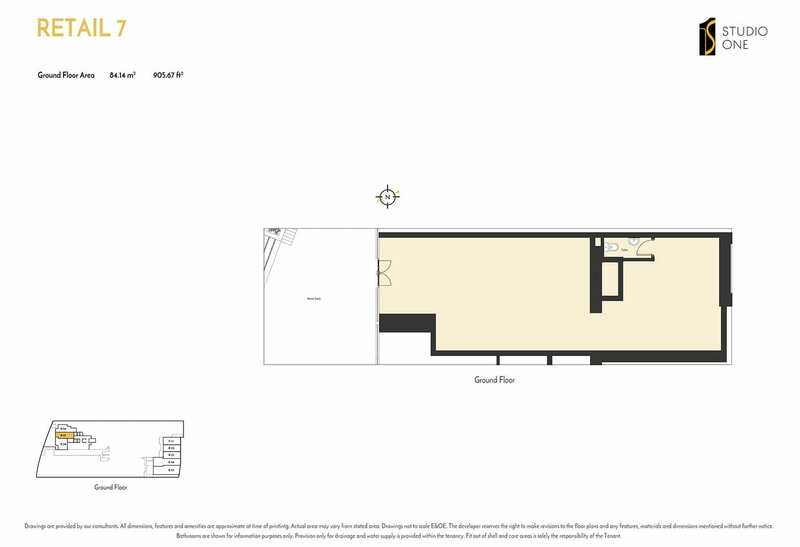 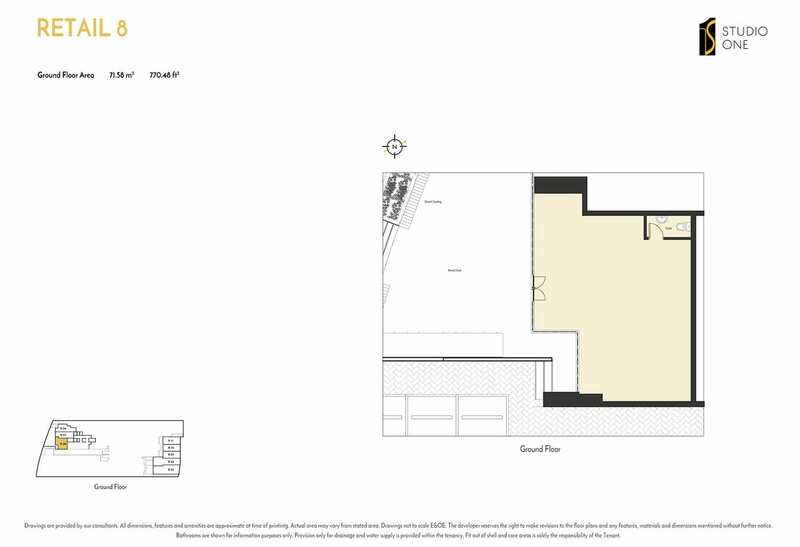 Apartments will feature full length windows and modern finishes in bathrooms and kitchens. 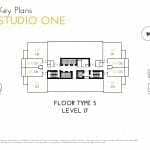 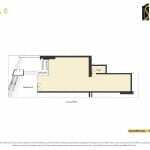 Amenities will include temperature controlled swimming pool, a well-equipped gym, His and Her Steam & Sauna, conveniently located ground floor retail outlets and dedicated resident parking. 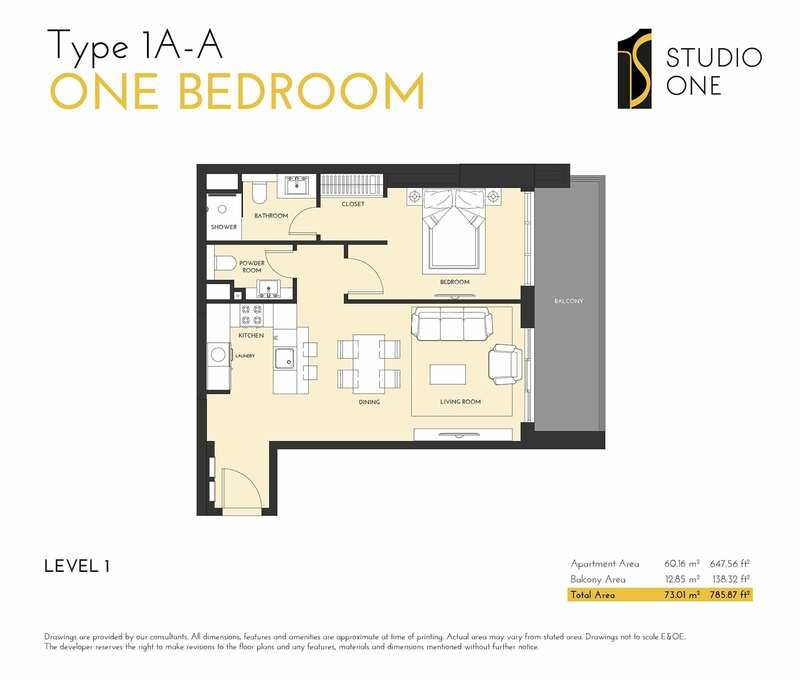 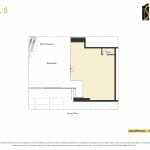 Apartment sizes range from 360 ft² to 1100 ft². 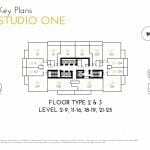 *Note: Together with (a) 4% + AED 40 being registration fees payable to Dubai Land Department (b) AED 1,055 Oqood Administration fees payable to the developer.